Yesterday was our first Sunday “away” from SPV, the church we’ve been part of for about 3 years. It was a strange feeling. On one hand I was relieved to not have to load and setup musical equipment, on the other hand we terribly missed being with our dear friends. It felt a bit isolated, yet peaceful. Hard to explain. We took a nice walk around the neighborhood (awfully quiet on a Sunday morning!). Later, we hooked up with some friends and visited a church called Quest in Ballard. They’ve been together for about two years now and seem to have a congregation of about 100 people or so. What interested me (and the reason I wanted to visit) is the way they’ve structured their ministry. They renovated a building in Ballard and turned it into a coffee/espresso bar and cyber café called Qcafe (www.qcafe.org). In addition to being a nice place where people can hang out during the week, they also function as a non-profit community center which provides referrals to social services, teaches computer classes and has other services to the community. So instead of having a building that sits empty all week long and is only used on Sunday morning, they use the facility to reach into the surrounding community, provide a non-"churchy" place for people in the community to hang out and generate revenue to boot. Then they also use it to meet on Sundays for “church”. The congregation appeared to be about 80% young people – lots of college students. The pastor was an engaging young man named Eugene Cho. The service itself was very traditional. 3-4 (moderately recent) worship songs, announcements, sermon, communion, blessing & dismissal. Apart from the hip & trendy espresso bar decor, it could've been any Evangelical church service. I guess I was a little disappointed that they weren’t as adventurous in their liturgy as they are in other areas. 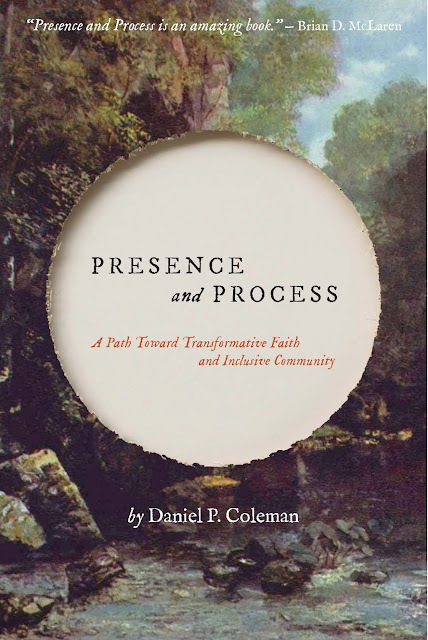 As I noticed some of the college students yawning and squirming in their seats 30 minutes into the sermon, I wondered how much more an interactive, dialogical approach to the service might have engaged them. All in all though it was a great learning experience and a blessing. More blessings followed as we were treated to lunch and conversation with friends. My friend Susie is a very experienced and gifted teacher. She works in the public school system and specializes in teaching kids who's second language is English, as well as kids with learning disabilities and other "at risk" factors. A few weeks ago she shared with me a paper that she had written on things she's learned about teaching. I was reviewing at again this morning and wanted to share some of her insights. Although these are written from an elementary school teaching perspective, I think they apply to any teaching/learning situation, including church. * We ALL learn from each other. * Literal translation from one language to another does not ensure meaning. * The teacher is part of the learning process, not the dictator. * In nearly all American school classrooms (and church sanctuaries! - DC) to this day, approximately 92% of the words spoken are by the teacher. * Education does not exist in a vacuum. * Education is a social phenomenon. * Institutional change of any sort is very difficult. the student(s) to learn in the lesson. * Another instructional strategy would be the use of a "Book Club". Assign students a passage, or book to read, and the teacher facilitates discussions with GROUPS of students on topics such as "What did you feel, hear, relate to...?" every single lesson because it is difficult to know/assess what the students are learning at any given time. * The teacher has got to learn to shut up! * The best learning is interactional, relational. * All learning takes place in socio-cultural interactions. "negotiated interactions" between and among learners. * Social interactions are of the utmost necessity in any learning situation. Acceptance of individuals and groups is a priority. is sometimes a student and sometimes a teacher. * It is healthy to change the physical environment of the classroom every so often. * Make sure that learning is fun! long-lasting and skill solidifying effect. * It is great to remember that we are all life-long learners! What I distill out of these nuggets are some basic truths, such as that learning best occurs in a relational, interactive, social environment and that learning requires the teacher to be secure and humble enough to facilitate and not dictate. I was talking with some friends yesterday, and also with Carla last night about some of the details that surround starting a church, such as what to call it. The church name I like is "The Church That Meets at So-and-so's House". Has a nice Biblical ring to it. Perhaps, I thought, if there are multiple churches meeting at various houses, when they join together for corporate celebration they could be called "The Church with no Name". But of course, that's a name, isn't it? I had a lovely day today, hanging out at my son's school and engaging in some deep conversation with some of the other parents (who are also good friends). This is probably a no-brainer, but seeing friends frequently and really spending time together is such a core component to relational community. I'm reading a book called "The Church Comes Home" by Robert & Julia Banks. Robert Banks is Professor of the Ministry of the Laity and Executive Director of the De Pree Leadership Center at Fuller Theological Seminary, has been involved in the church renewal and reform for over 25 years and is considered one of the key figures in the "house-church" movement. "God has called us to unity, to love our neighbor as ourselves. This requires a costly commitment to hang in there and work at issues unless it becomes obvious that there is no achievable solution. Unfortunately, when disagreements occur, we usually try to deny the conflict, exclude the offender from the group, or withdraw ourselves. All of these behaviors are detrimental to community. True community only develops as we learn to face the reality of our differences and work through them together." "Other 'problems' arise from the varying perceptions people have of their role in the group more than from particular doctrinal or practical matters, with what goes on in their imaginations and feelings rather than what goes on in their thoughts. The chief hindrances to our becoming a genuine Christian community lie within us: in our basic attitudes, expectations, and motives. These are so intrinsic to our way of looking at others that we are often unaware of them. Yet they govern our relationships with each other, the way in which we seek to serve our fellow members, and our view of what our home church should become." Banks goes on to quote Dietrich Bonhoeffer: "Just as surely as God desires to lead us to a knowledge of genuine Christian fellowship, so surely must we be overwhelmed by a great disillusionment with others, with Christians in general and, if we are fortunate, with ourselves. By sheer grace, God will not permit us to live even for a brief period in a dream world. He does not abandon us to those rapturous experiences and lofty moods that come over us like a dream. God is not a God of the emotions, but the God of truth. Only that fellowship which faces such disillusionment, with all its unhappy and ugly aspects, begins to be what it should be in God's sight - begins to grasp in faith the promise that is given to it. The sooner this shock of disillusionment comes to an individual and to a community, the better for both. A community which cannot bear and cannot survive such a crisis, which insists upon keeping its illusion when it should be shattered, permanently loses in that moment the promise of Christian community. Sooner or later it will collapse." "Every Human dream that is injected into the Christian community is a hindrance to genuine community and must be banished if genuine community is to survive. He who loves his dream of a community more than the Christian community itself becomes a destroyer of the latter, even though his personal intentions may be ever so honest and earnest and sacrificial." This is a poem I came across in the forward of Frank Viola's book "Pagan Christianity" (a somewhat disturbing yet thoroughly enjoyable critique of the historical roots of many modern church practices). The poem is entitled "The Calf Path" and the author is Sam Walter Foss (1858-1911). These quoted phrases, or ones like them, are proclaimed week after week, year after year by Charismatic pastors, preachers and prophets. As a Charismatic Christian, I’ve been hearing proclamations of an impending incredible “thing” for twenty years. In fact, we seem to have heard it, and repeated it ourselves, for so long that we live in a continual state of anticipation of an event (outpouring, revival, etc.) that is always just around the corner – just over the horizon. My question about this is what about the old thing? What about the thing that occurred with a cross and an empty tomb? What about the ongoing, day-to-day, one-foot-in-front-of-the-other, work of being a disciple? What about being ekklesia (church)? What about abiding? Attending to the task at hand? Here. Now. In his epistles, I see Paul exhorting the churches to grasp a hold of truth, to have faith, to pray, to give, to follow Christ, not because of the new thing He’s about to do, but because of what He has done. Not because of what we’re about to become, but because of who we are, right now, in Him. That God can, and does, do new things is irrefutable. That’s His prerogative and an aspect of His wondrous creativity. But how much of our hope and excitement is in the “thing” we believe God is about to do, and not in God Himself? God’s very name, “I Am”, speaks of the Present. What is He doing right here and right now? What can we do in order to join into that? Here. Now. · Meeting in houses, as the New Testament church did, or in other locations that don’t drain resources, but foster a sense of family and connectedness. · Church growth through multiplication, not addition. In other words, as a house-based fellowship grows it should split (like a cell) into two house-based fellowships. These fellowships continue to “multiply through division” as new members are added. The eventual goal is that house-based fellowships are focused on reaching their immediate surrounding communities. These house-based fellowships periodically come together for corporate celebrations. To express these elements can be misunderstood as being critical of those who whole-heartedly serve God in the institutional church, and that is not the intention. Neither is this a judgment against the body of Christ. Rather, this is a reevaluation of systems, structures and traditions that have been added to the New Testament picture of ekklesia. Do we know how to do all this stuff? No! Are we going to make mistakes? Definitely! Remember, this is an exploration, which implies stepping into the unknown. The costs of exploring “ekklesia” are many. First off, it entails moving into unfamiliar territory (Heb 11:8). It means having our presuppositions challenged (1 Thess 5:21, Acts 17:11) and sacrificing comfortable traditions and practices. It requires having to take responsibility to be a minister and to bring something to give of ourselves and our gifts for the body, and no longer just passively receiving. It means taking the risk of becoming known. It means dying to self: Laying down our agendas, control issues and need to be the center of attention so that the Holy Spirit can lead and Christ can be formed in us corporately (Phil 2:1-4). It means a commitment to helping each other surrender our lives and pursue the depth of God’s heart through sacrificial love (1 Cor 13). It means taking the risk of being misunderstood and labeled as “difficult”, “independent”, “rebellious” or worse. It means making a commitment of time because we are called to be a community (ekklesia) and community doesn’t happen with an investment of two hours on Sunday. It happens by being part of each other’s lives and walking out our discipleship together. We are beginning this journey of discovery, having just left a pastoral position at a Vineyard church on Sunday. I'll try to use this site to document thoughts that occur along the way.